Dr. James C. & Judith G.
The start of the spring semester is one of my favorite times of the year. 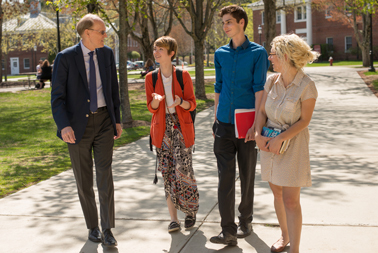 It is always a pleasure to see our students, faculty and staff return to campus. 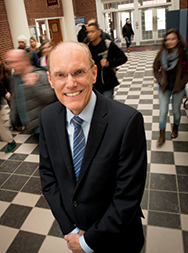 This semester, the college will continue to focus on reimagining teaching and learning spaces. The installation of new classroom furniture and upgrades to instructional technology, will help maximize student learning and foster deeper engagement between students and instructors. This spring, the college is also launching EAB Navigate, a set of online success tools that will play an integral part in the student advising process. With these tools, students can build their own course schedule, find resources on campus, and track their academic progress. This system will also help advisors identify and eliminate barriers to student achievement. Combined with a new structured orientation process, I am confident that we will be able to help more students be academically successful from day one. I look forward to the semester ahead. 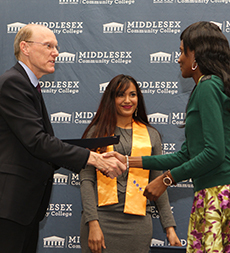 It is creative and innovative approaches to teaching and learning like these — along with the work of MCC's dedicated faculty and staff — that will help to shrink the achievement gap and better prepare our students for success. 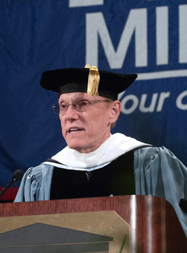 Read past messages from President Mabry.